Ever feel like traffic lights are purposefully hindering your travel? Yesterday I attended an event in a city about an hour and a half from our house. I left early enough to still arrive on time if there was any trouble on the way. Fortunately, there were no accidents or incidents but it seemed as if every traffic light was red or turning red when I approached. It was frustrating! It all evened out on the way back because it was mostly green lights but then I didn’t have to be somewhere at a certain time. The stop and go of driving is draining for me. You build up some momentum only to have it taken away by watching a green light turn yellow and then red. There’s the thought of speeding up when the light is yellow or ignoring a just changed red light but that’s how accidents happen. As my truck sits there at the light, my eyes focused, waiting for it to turn green I hear the voice of wisdom in my head; “The lights aren’t doing this on purpose. You have plenty of time. There’s no need to feel rushed. Don’t give into the frustration. Breathe Brian. Breathe.” Usually, I can catch myself before I lose it and was able to yesterday although it was close! I arrived at the event with plenty of time to spare. The day was not ruined by traffic lights. All was well. Life is similar at times. We build up momentum to change a problem, overcome a difficulty, make progress on our journey of life, only to run into roadblocks, obstacles, and setbacks. It can be easy to give up and become negative and a malcontent. We must remember to breathe, that most hard times are followed by easier, less testing times. Life is a long road. As sojourners we hope for the best, plan for the worst and find our way somewhere in between. Being the owner of a Siberian Husky is a challenge in many ways, not least of which is keeping the hair cast-off in check. Huskies “cast” their fur twice a year which is when they get rid of their entire under-coating. However, they shed year round. Brushing, sweeping, vacuuming, are part of the deal when dealing with this breed. One of the first acts Trooper does when going outside is rolling over on his back trying to get rid of loose hair that’s been itching and bothering him. Following this, he has grass clippings, small limbs, and leaves all over his back. So, we have taught him to “shake off” before coming into the house. We give him the command and most times he’ll give a good shake before coming inside. Watching him do this is a good reminder that life can be burdensome. There are people, places, and things which annoy us. If we aren’t careful we can carry difficulties and challenges with us instead of letting them go. I don’t think we need to roll around on the ground or have a fit before walking inside our homes, but mentally we can shed our minds, emotions, and spirits of the negative bothersome issues of life. Shake it off. Find relief and peace. Last night, after dinner, Beth wanted a popsicle. I was getting up anyway and told her I’d get her one. I opened the top freezer door on the refrigerator and grabbed two by mistake. One fell to the floor and using the three-second rule I quickly stooped down and picked it up. Unbeknownst to me, the freezer door was swinging back and when I was two-thirds up I whacked the top back of my head on the corner of the freezer door. “OUCH!” It hurt so much I crumpled to the floor rubbing the wounded area. Beth heard me, came and looked at it and thought there would be bruising and soreness. She was right. It never occurred to me until it “hit me” that the door was doubling back. My mind was elsewhere and the freezer door brought me back to reality. I was listening to someone describe addiction this week and they said; “It gets inside of you. You think you have a handle on it and then you begin to crave it. It comes back again and again and again.” I thought about other things which come around over and over. Grieving the loss of a loved one who has passed on, anger at being taken advantage of, bitterness at being betrayed, the pain of past memories and experiences that hurt us emotionally and physically, drug, alcohol and other addictions, friends who have negative influences on us, wounds which seem to never heal. All of these can cause us to crumple to the floor when they double back into our lives. There is a needed balance of awareness and acceptance. Awareness is needed because perhaps we can see it coming and side-step the toll it would take on our minds and spirits. Acceptance is important because we are human, are not all-powerful, and difficult and challenging experiences are part of what makes us unique. It is in this balance we may find wisdom and peace. This morning I had to pick up and drag to the burn pile all of the debris left over from yesterday’s storms. It was a lot of broken limbs and several large branches. It took a while to get all of it collected and deposited. I had a good sweat going after finishing. Then I mowed and trimmed. It was a lot of work, picking up the junk, cleaning up, what’s left over from the storms that blew into our lives. As I sat on the riding lawn mower today I was reminded that we cannot control the storms and most of the damage they do. We aren’t in charge. We don’t have the power. We can, however, pick up the junk, dispose of the debris and clean up as best we can. Tragic events, unwanted surprises, ordinary life has a way of blowing into our every day and leaving a mess. We can’t stop it but we can react in positive or negative ways. I was part of a conversation today where someone suggested another person, not present, had “an attitude.” It was news to me. I’ve had several encounters with this person and never picked up anything other than pleasantness. I’m also the first person to admit that I’m not the best at noticing. When I was interviewing for a position in the mid-2000’s I felt like everything went well but Beth had a “feeling” about one of the members of the group who were in charge of filling the position. Sure enough, though I accepted the position, this person was a thorn in the staff’s side during my brief tenure. I believe in looking for the best in the people I know, meet, work and live with but also old enough to know not everyone gets along, like each other, has compatible personalities. There are people you’d stop and help change a tire but wouldn’t go on vacation with or spend extra time with unless its necessary. I don’t think this has to be a negative trait but a truth we should respect and recognize in each other and ourselves. This story was told to me a few weeks ago. I have been reflecting on it since I heard it. Most people are injured in some way; physically, emotionally or spiritually. We have crutches, not in a negative way, but in the sense that we need help to heal. However, too often, because of our hurts, habits, and hang-ups or the aids we use to walk this road of life we’re seen as a hindrance. People focus on how another’s imperfections will impact their lives. What we need is someone who will let us lead or, if we’re the one helping, let the other lead us. We relinquish our desire to control, force someone to do it “our way” and by letting go we will find synergy and companionship. Bikers that live in our area are not the most subtle folks around. You can hear their loud, screaming engines coming from miles away and can’t hear yourself thinking when they whiz by. The noise plus the obnoxiousness which comes from that “look at me, hear me, acknowledge my presence” of some who choose to ride these cacophonic bikes, amplify their exhaust systems, spew black smoke from their diesel engines gets on my nerves. There’s a part of you which wants to put all these drivers in the same negative category and be frustrated with the whole lot! The video was a great reminder that categorizing, generalizing, labeling, putting everyone in the same basket is foolhardy and certainly not wise. Be slow to judge, we never know what’s happening “under the helmet.” After all, a lot of good in this world comes from mysterious and unexpected places. A few moments ago I sat outside on the edge of the porch and watched my Siberian Husky sniffing the ground. We have three families of rabbits, including little ones, and he has been stopping and smelling the area where they have been. The sun is out today. Its been hidden most of the week. There’s a nice breeze, blue skies with thick white clouds, the grass is an emerald-green. An almost perfect day. As I sat there I felt a splash of water on my leg. I looked to see where it came from and noticed a puddle and drops of water falling off the roof. For an instant, the moment was perfect until I noticed it. I sighed, not because of the splash but because my focus became what bugged me, not on everything else. Wisdom teaches us to accept each moment exactly as it is; what we judge good and not so good, positive and negative, perfect and less than. The truth is; my moment on the porch was perfect with the drops of water, the splash, and the puddle. It was perfect because it’s what it was and my idea of perfection was what got in my way. Life is a series of imperfect moments because we decide they would be better; “if…” Acceptance is one of the hardest yet most crucial lessons we must learn if we’re ever to know awareness and contentment. I was talking with someone earlier this week about a situation he is experiencing. He is forced to make a choice between one thing and another. It’s not a choice he doesn’t want to make. As he belabored the unjustness of the decision, listing the pros and cons, complaining about the consequences of each side of the coin, I asked him a simple question. 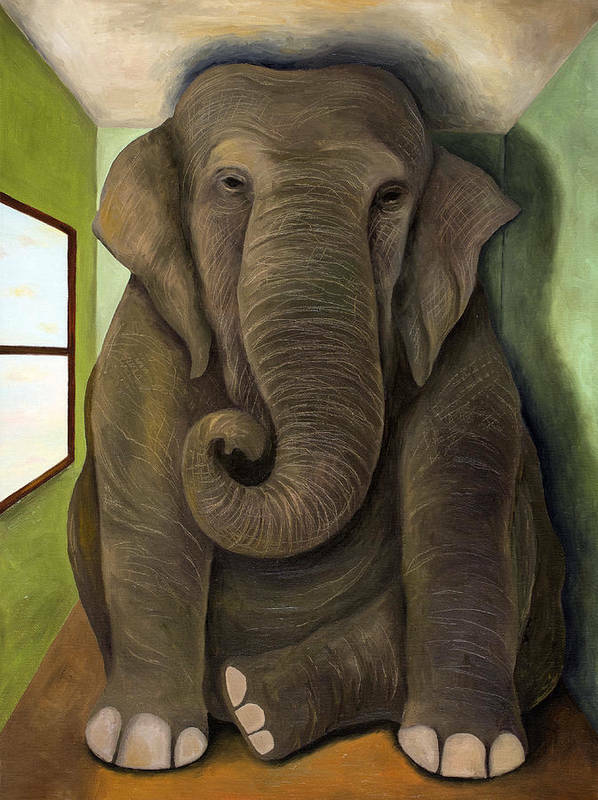 “What’s the elephant in the room?” He paused and reflected. “What do you mean?” he inquired. “Dig deeper, past the choice and the consequences, what’s the reason you’re having to make this decision?” He was quiet, then took a deep breath and answered. He had clarity. Like a man in a cloudy stream, only when his mind was still, did the water clear. I once had a co-worker whose personality and mine didn’t click. It wasn’t anyone’s fault. It’s the way it is sometimes. He was in charge of employee evaluations. When we met in his office he read over my “grades” and was surprised they were all high. “I didn’t expect this!” he exclaimed. I sat there thinking; “You didn’t expect this because I’ve never had issues with anyone or any part of this job. The problem is you don’t like me and this colors everything.” We chatted and then I left thankful for my scores but still burdened by the negative relationship. Wisdom teaches us to make sure we deal with the thing that matters not everything else. 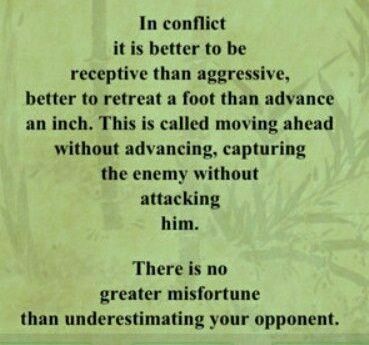 It instantly became a favorite wisdom quote of mine. As someone with a Severe Anxiety Disorder, I can relate to worrying and doing it obsessively. 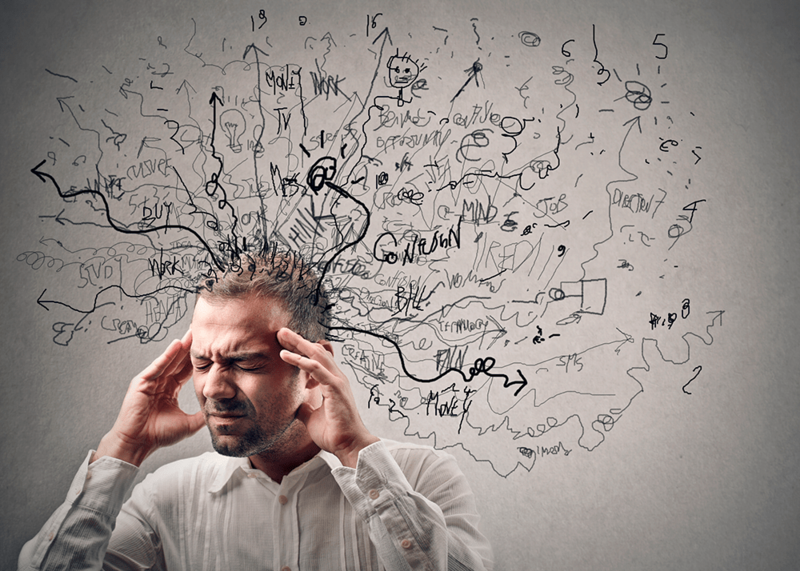 One of the symptoms of an Anxiety Disorder is rumination. Rumination is the inability to turn off negative thoughts. Similar to a broken record player (do people know what they are anymore?) or a scratched Compact Disc (same question) getting caught in a loop and reciting the same lyrics in your head over and over. I come from a long line of worriers and a long line of pray-ers but I never put the two together before. I am sure if the quote is analyzed enough there are theological (the study of the divine) and ontological (the study of being) questions and fallacies but for now it gives me a new way to look at worry, stress, anxiety, rumination and where to focus my thoughts and spirit. This morning I woke up with a headache. It felt like a giant was knocking on the front door of my face. I at breakfast took a pill and laid back down. It helped a little but it’s been painful off and on most of the afternoon. Last week a friend told me he had a “secret knock” whenever he went over to his mother’s home. He said this knock was for her to know that it was him without looking out the window to see. I liked this idea both the reality and the thought behind it. 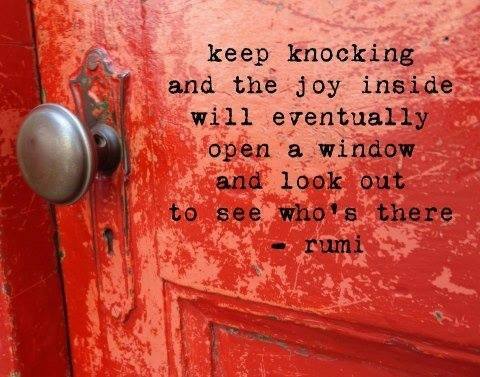 We have ideas which knock on the doors of our heads. Some of these thoughts, especially the ones filled with doubt, confusion, anger, can take us to places we don’t want to go. Wisdom teachers call this; “monkey mind” a mind filled with chatter like monkeys in a tree, never-ceasing or giving a moment’s peace. It can also be called; “thought train” which is a mind that’s on a particular set of tracks taking us to places it’s not always wise to go. The good news is we are able to train our minds to recognize “monkey minds, thought trains” and refuse to let them take over our spirits and emotions. The key to mindful living is to be present, in the now. Our minds are not all-powerful and we do have the capability of saying; “No” to negative, repetitive, thoughts and “Yes” to those which keep us centered, balanced and at peace. We simply need to know when and when not to open the door. The last couple of weeks of February have been a rough time for me the last several years. There are painful, heart hurting memories which seem to resurface and dealing with these challenging emotions is difficult. Today I cleaned up our yard after a round of storms and rain this last week. I threw them on a burn pile and set it afire. I also had some old fence pieces and newspapers to burn. The newspapers are from my wife. She is doing her best to understand and begin to use extreme couponing in an effort to save money. 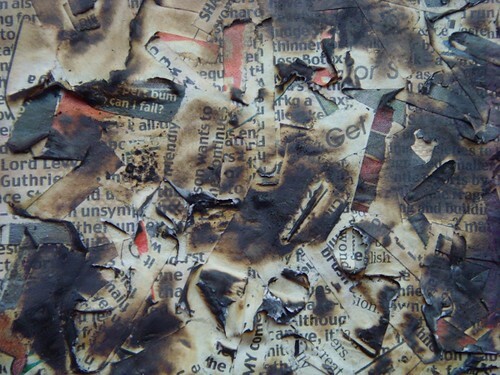 I made sure to take old piles of newspaper and watched as the flames began consuming them. I tried reading some of the headlines and articles before the fire reached them and then they were gone. As the fire leaped into the air I thought about it being old news which was out of date and historical. I also reflected on the memories I’ve struggled with the last few weeks and tried to remind myself that healing and time can also consume the heartache of the past and that our history enlightens our present. The last few days have been slooooooooooooooooooooooooooow. We’ve had overcast skies, plenty of rain and this makes for a dreary season and spirit. April showers may bring May flowers but February showers bring time to a standstill. The last few months have been long. I always have a difficult time between Thanksgiving and Easter. It’s dark when you arise and when you arrive home in the evening. The darkness that surrounds me seems to permeate my emotions. 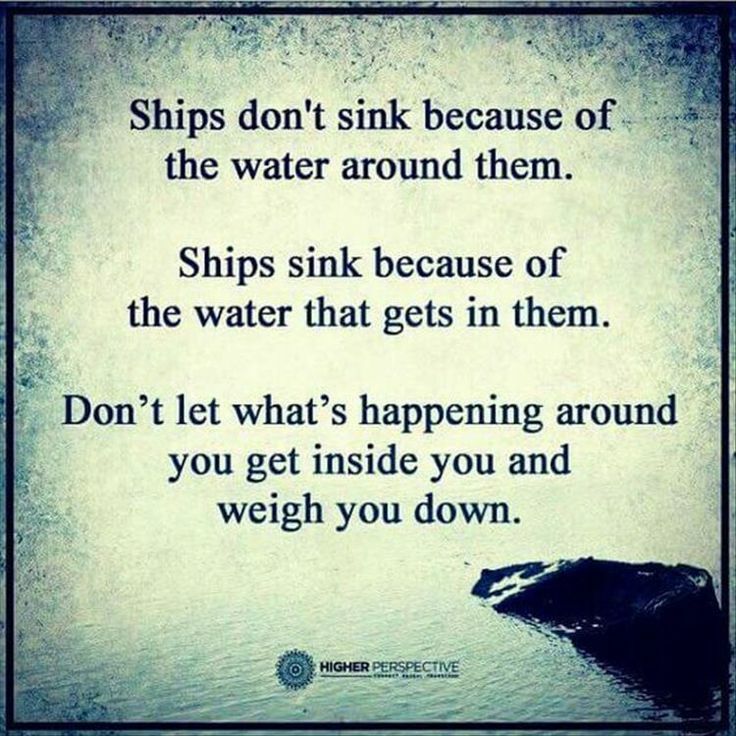 As someone with Chronic Severe Depression and a Severe Anxiety Disorder the days slowing to a crawl, mess with my balance and threaten to send me over the edge into negative thought patterns and fixations on disappointments and failures. The balance, of course, is not letting the anxiety get in there and make my brain whirl like a drugged up hamster on a greased up wheel. Again, it is balance. I make sure the things which help me; meds, exercise, talking to others about how I’m feeling, are done and not discarded even when tempted to do so. The balance to keep life’s rhythm manageable is an everyday if not every moment discipline. If we let it we would be either swept away in a chaotic whirlwind of activity or mired in a despondent state of surrender. 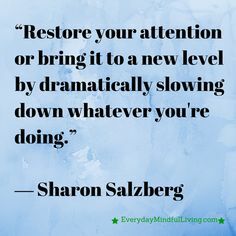 Slowing down isn’t the goal but balance and mindful living are what keeps us sane and steady on the path. Yesterday morning I ironed a shirt for Beth to wear to work. This particular shirt was given to my wife by a friend who passed away several years ago. However, even after all this time, the shirt still smelled like our friend. The fragrance immediately brought back nice memories of her kindness, joy, love and grace-filled life. It’s amazing what smells can trigger. I have another friend who had a rough childhood and the smell of certain foods triggers terrible memories. Scientists say smell is one of the major components of remembering the past. I’ve thought about the shirt Beth wore yesterday and I ask myself; “What would someone think of if a smell triggered a memory? What smells would remind others of me?” One of the central lessons of wisdom is that everything we do leaves an imprint upon another. Good or bad, negative or positive, our lives leave a fragrance to those around us. We underestimate the moments and seasons in our lives that are unwanted and seem to be working against the goals and dreams we have for the present and the future. Wisdom teaches us that every experience can enlighten us, give us knowledge and wisdom, and take us further along the path of life we all are traveling. Two or three days ago a journalist began publicizing his book about the president. The book and the author weren’t at all flattering of the man or the job he’s doing as our nation’s leader. In response, the president responded with insults, negative tweets, threatening lawsuits and gave the author what he wanted most; more attention. I’ve heard even the most ardent supporters of the president question why he couldn’t leave it alone? 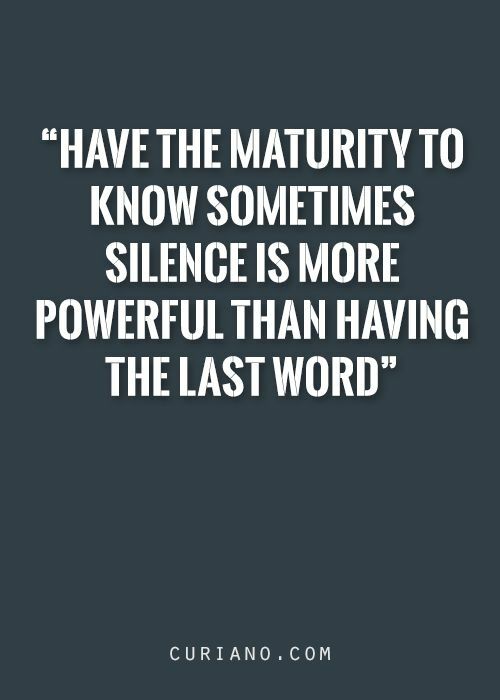 Wisdom teaches us to know when to speak and when to stay silent. If you’re wondering which to do a favorite quote of mine is; “No one regrets a rushed word unspoken.” The truth is we talk too much. We are too quick to defend ourselves. Most can’t handle a perceived slight. Our tongues and lips seem to be “at the ready” to do battle with whoever and whatever insults, belittles, or challenges our view of the world or ourselves. Wisdom reveals that silence and patience are signs of maturity in those who have a strong sense of who and what they are as a person. 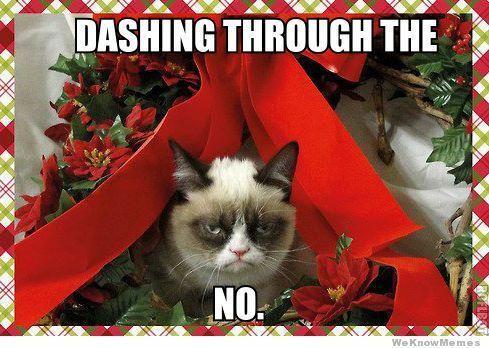 There is a noticeable lack of Christmas spirit in my family this year. It’s been a long year as my dad battled cancer and passed away on the first of December. The anticipation of Christmas coming has been replaced with a feeling of; “Is it over yet?” I don’t think it’s Christmas per se’ but we’re anticipating the end of 2017 and 2018 to begin. Anticipation can be a dangerous state of mind, emotion, and spirit. For all we know, 2018 will be as rough, perhaps more so, than 2017. It’s not a pleasant thought but it is a possibility. This is why wisdom teachers discourage anticipation. Life rarely lives up to what we think, or wish would happen. It’s almost always different and this can be good or bad, negative or positive. When life fails to fill our desires suffering, pain, confusion can occur. So, my family and many others wait in this no man’s land hoping Christmas will not be too difficult and 2018 will be a better, certainly different, year. Today, while working out, I began to think of someone I haven’t thought of in a long time. It was a song that started the flashback. The memories began emerging and it wasn’t long before I began to feel the emotions, experience the memories and time melted away. It was almost as if I was back in the place, with the person and struggling. This person and I had a difficult relationship. There are times when two people don’t mesh. Sometimes there are reasons other times there are not. The pairing produces negative results, hurt feelings, harmful actions, and regrets. I was thankful my anxiety didn’t take me too far down the road. There are times when my anxiety disorder goes into high gear and I can’t turn my thoughts off. They keep coming and it seems I am at their mercy. Today, the flashback was only a few moments and I was able to move on. Though unexpected and unwanted the flashback was a good reminder that I have put a lot of distance between what was then and what is now. Most of the pain has vanished, the hurt feelings healed, the memories and experiences seen differently. The person is no longer my adversary but a fellow sojourner trying to find their way home on another path.